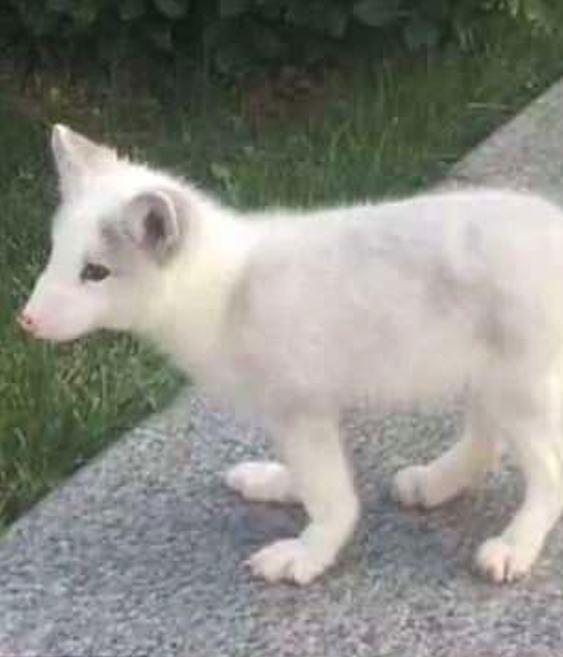 A Woman Discovered Something REALLY Strange About The Puppy She’d Been Raising For A Year! Exotic pets seem to be all the rage these days don’t they? Tigers, monkeys, bears… to most people the rule is the more exotic the better! But what if you’re not most people, and all you wanted was a run-of-the-mill, normal yet incredibly adorable, average house pet to love and to cherish with every fibre of your body… but despite that still accidentally ended up with an exotic pet, and worst of all, had absolutely no idea that you had! Sounds pretty crazy right? Like, how could that possibly ever happen? Well this became a reality for a certain Ms. Wang who hails from Jinzhong of Shanxi Province. Don’t believe me? Well scroll down to read her full story. Trust me, you’ll be absolutely amazed at what her pretty little pooch turned out to be! A Chinese woman, Ms. Wang innocently set out one day to buy herself a traditional Japanese Spitz. to raise, love, care for… you know all the standard things a pet owner wants to do. A few years later however, she began to have her suspicions about just how “traditional” her doggo actually was, and it turns out, it was something entirely different. It was actually a while before Ms. Wang realised there might be something off about her pure-bred pooch, but the fact that her pet had grown a long white fluffy tail around the age of 3 months put the idea in her mind that something wasn’t quite right. It was then that a staff member at a local zoo confirmed the news to Wang that her little doggie was indeed a domesticated fox. I mean, at the end of the day I guess it could have been a whole lot worse right? I mean, he’s still a cute little fella isn’t he? Just look at that face! Awwwww. Wang said she bought the so-called Japanese spitz last July, MailOnline reports. She fed the fox chicken breasts and dog food (as you would if you genuinely thought you were feeding a growing pup!) until around the age of three months, when it “weirdly” stopped eating the stuff. So… I guess from this we can assume that 3 months+ is when a domesticated fox becomes slightly more… foxish? “The fur got thicker when it reached three months old. Its face became pointy and its tail grew longer than that of a normal dog. 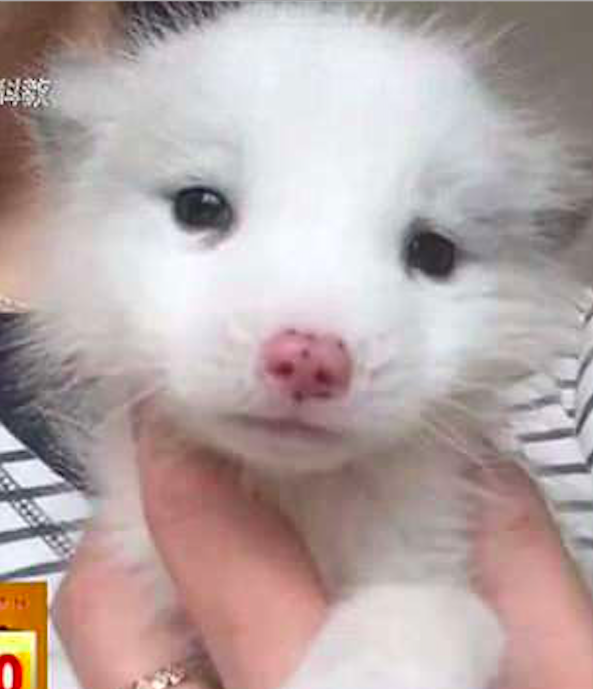 Sun Letian, who is an expert in animal epidemic prevention at Taiyuan Zoo was the guy who confirmed to Wang that her pet pupper was actually a pet fox cub. I bet that was a fun day at the office! “Based on the size, it is a domesticated fox. It carries a smell in their body and the smell can get stronger as it grows older. Apparently since the news was broken to her, Wang has sent her pet to the zoo to receive nutrition and a greater quality of life… which is good for the fox, but my heart goes out to poor Ms. Wang who’s now left doggo-less! 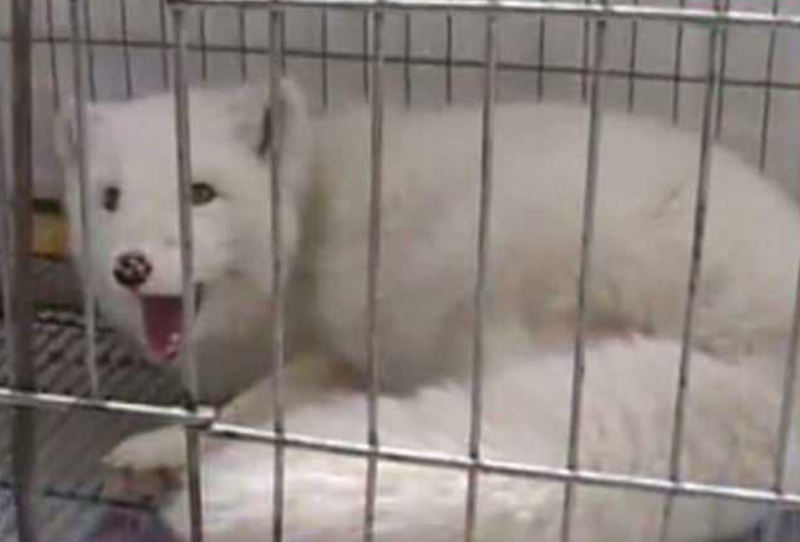 Sun also commented that the animal will be quarantined for a month or so while workers undertake specific health checks for the little critter. The Japanese Spitz is a loyal, energetic and affectionate companion that is highly intelligent and good with children. They are a small-to-medium sized ‘Spitz-type’ breed. However, there is some variation in their size around the world, due to differences in breed standards. These little dogs have captivating personalities and are full of fun and love to play. They adore being around people and will thrive in your company, staying close to your side. Despite their small size, this breed is courageous and bold and are excellent watchdogs. They are renowned for their thick and fluffy pure-white coat, which is offset by their large dark almond-shaped eyes that are slightly slanted. This breed will enjoy curling up in your lap for a warm snooze. But do not be fooled, this is not a sedentary breed, as they also love to be active and get outdoors for walks. The Japanese spitz, it should go without saying, is native to Japan (shock horror). However, it’s not entirely clear to experts how this breed came about first came about. Some sources believe that the Spitz may have been created around the time of the 20th century by crossing-breeding a variety of different spitzes from all across the globe in hope of producing a ‘healthy’ breed of dog… what ever that means. All we know is that they are cute and fluffy and such very good boys… so wherever you came from, thank you! Keep up the great work.